With a lifetime subscription to Stackmails Email Automation, you’ll create custom campaigns that turn leads into customers. Technology has expanded the ways that your business communicates with your customers. Interested leads can follow you on Facebook or Instagram and text message marketing delivers important messages directly to cell phones, but email marketing still takes the lead when it comes to turning your leads into customers. A lifetime subscription to Stackmails Email Automation will help you take advantage of email marketing with just a few clicks. This ingenious tool automates sending custom emails and drip campaigns from your Gmail account. You can bring leads and prospects straight from your eCommerce store or website to your email list thanks to MySQL integration, then tailor your communications with custom fields to add a personalized touch. Stackmails allows you to send emails to up to 2,000 recipients with the push of a button. You can monitor your email’s performance with analytics and tracking for delivery, open, click and reply rates to see if your techniques are speaking to your customers. You’ll know about your bounce rates, links and more without having to download or integrate outside tools. You can also integrate multiple Gmail accounts to keep everyone in your business on the same page. 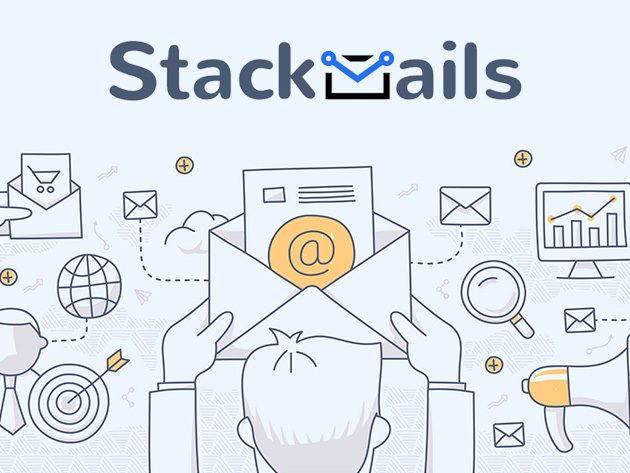 Usually, a lifetime subscription to Stackmails Email Automation would cost you $2,280, but right now it’s on sale for just $49 (97% off).